The Control Tester has been developed to assist with the diagnosis of all types of (IR) Infra Red and (RF) Radio Frequency remote controls. WOYO Remote Control Tester can be used on most makes and models of vehicles including trucks, remote control models and domestic appliances. 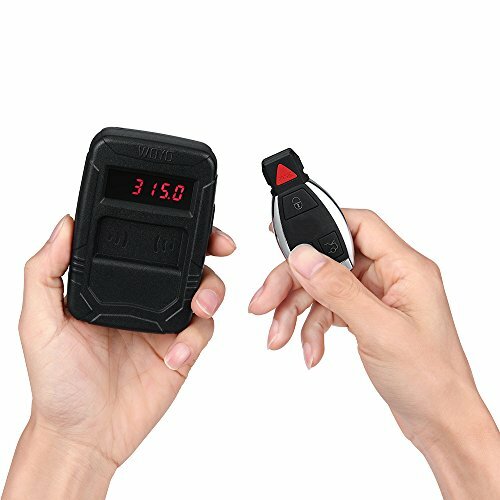 Simply place the remote control below the LCD screen and press a button on your remote key fob, a signal will be sent to the WOYO Remote Control Tester and a numeric frequency will be displayed on the LCD screen. If you have any questions about this product by WOYO, contact us by completing and submitting the form below. If you are looking for a specif part number, please include it with your message.